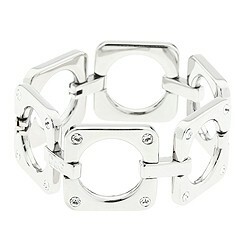 Add a seriously chic factor with this modern DG bracelet. Stainless steel with crystal details. 7 1/2 long with a folding clasp. Free shipping in the USA.